It’s a peculiar film for those who have watched Grant in other films. For the largest time in the film, we’re expecting him to sweep forward and become the upright but sardonic hero he’s so closely associated with. Not that Grant was ever especially typecast, but it’s interesting to see him play a true vagabond, rather than a reluctant hero. There’s always an edge to his heroism missing in other leading men of his age; he’s always forced into action rather than eager to take it up. But in this film, the moment never comes and its exciting to see the perception of his later cinematic conception so undermined. “You think like a pig,” Hepburn chides him. “But it’s a pig’s world,” he replies. It’s an exciting film to watch, not least because of its inherent oddness. It’s not hard to see why it flopped on release. 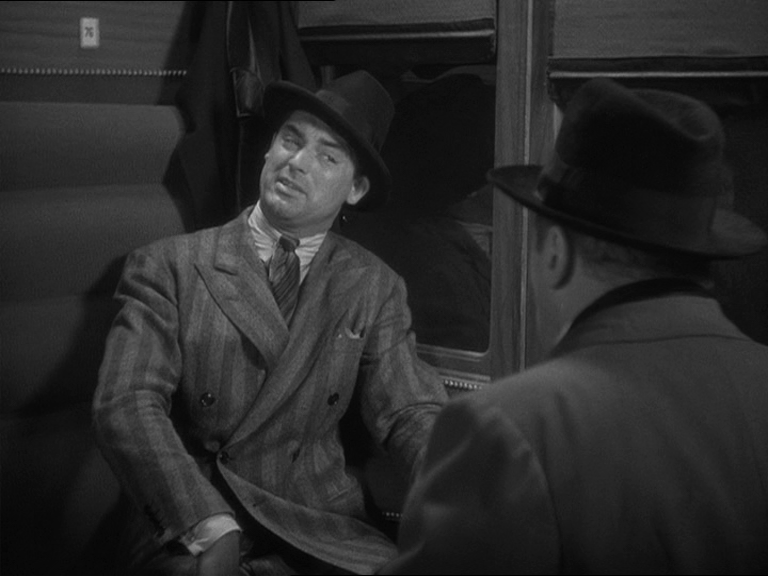 Even within the context of the narrative jags sometimes taken by screwball comedies, it’s a real curiosity. The tone never settles entirely. It’s a buffet of styles, not wholly dissimilar to the Marx Brothers early work. Films like Duck Soup and Sylvia Scarlett remind us of Golden Age cinema’s appeal to the masses as they encompass a sort of vaudeville or Seaside Special attempt to please all. Sylvia Scarlett flips tone from scene to scene, between melodramatic romance, high tragic reflection on the miseries of existence, musical comedy and slapstick knockabout. It’s not successful in blending these movements: (SPOILERS FOR NEXT THREE SENTENCES)Sylvia’s father’s death as he pursues his lost love is strangely gruesome, as we see his corpse floating after drowning. He’s been a figure of fun throughout the film and there’s hi-jinx on the May-December marriage of the couple, but the grisly end is a shock and a deadener to the overall tone. 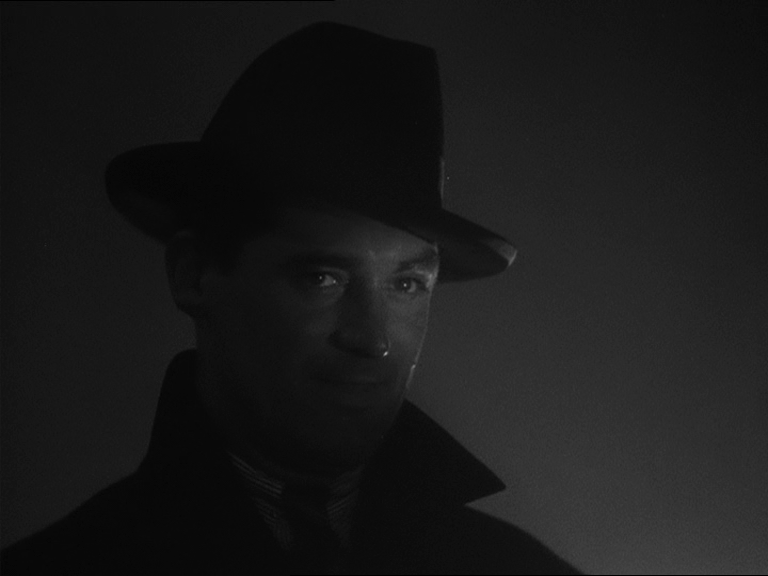 But, just as Cary Grant’s role as leading man is inchoate here, so too are the defined and discrete genres. There’s something vibrant about the lack of consistency. Watching a trailer for a modern romantic comedy, we know exactly what the narrative arc will be and modern audiences are more than comfortable with this reassurance. 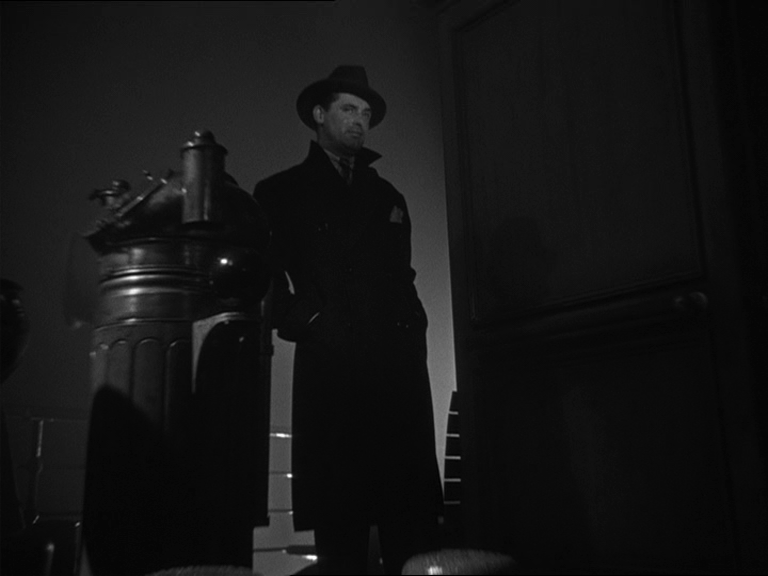 But if we look at their analogues in the likes of Preston Sturges, the outcome is never predetermined. Films like The Great McGinty have a spite and cruelty that’s missing nowadays, smothered in pursuit of “What the audience wants,” however false an idea that is. 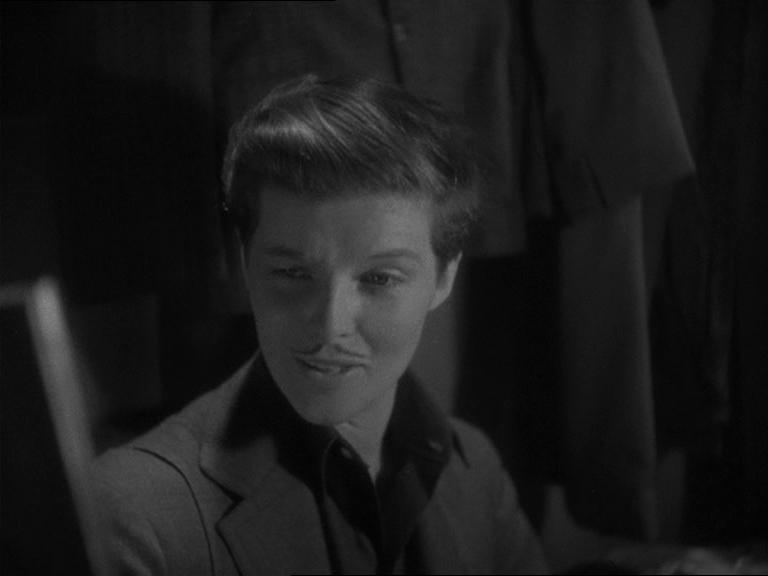 As mentioned, there’s a significant portion of the film given to Hepburn’s gender-swapping. Not only is this odd and risque (you can veritably hear the scribblings of Gender Studies students as the actors deliver lines like, “I know what it is that gives me a queer feeling when I look at you.”), it’s also odd for a gender swapping film. There’s no true compulsion for Sylvia to transform into Sylvester: apparently she will be less traceable as man (although one would have thought this lying low would have extended to not becoming involved in con artistry). The whole issue is dealt with as quickly and artificially as Hepburn’s fake braids in the first scene (apparently added on the studio’s insistence). There’s no big reveal – Hepburn simply drifts in to show her love the truth mid-way through the film. However, there is a pleasing message that is submerged in this dalliance with gender-swapping. 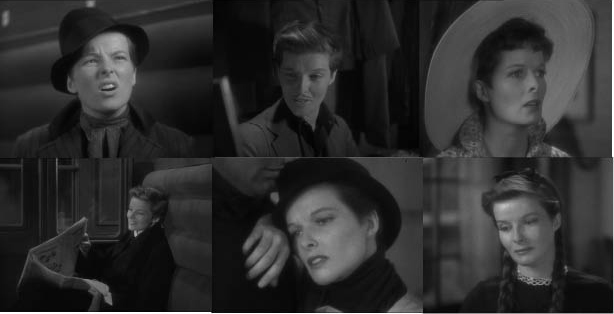 Throughout the film we are treated to a series of close ups and full frames of Hepburn in her different forms. Cukor is attempting to frame her above and beyond her status as star of the picture. 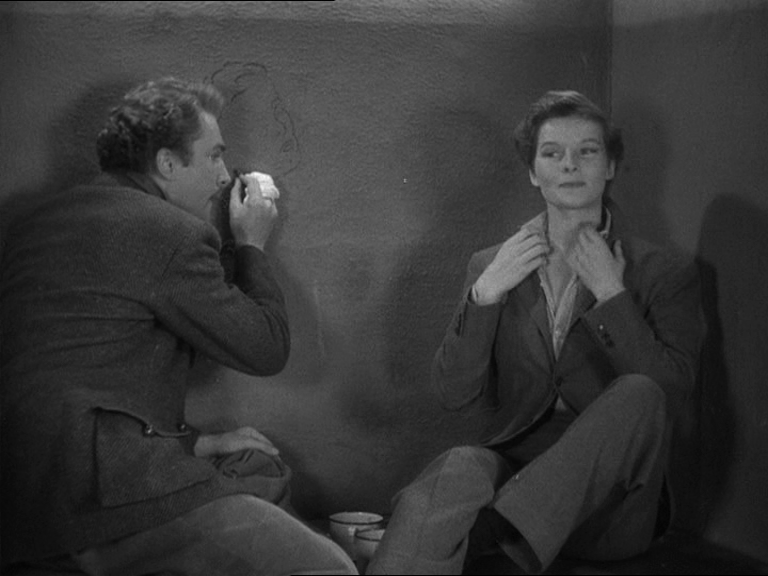 Indeed, in the moments before (SPOILERS) Brian Aherne’s Michael Fane reveals his love for Hepburn, we see him drawing her picture on the prison walls. He is the first person who has been able to ‘see’ her properly and the message is that hoariest of romantic comedy clichés (though sentimentalists, myself included, will never tires of it as a trope): he loves her just the way she is. By no means a classic, the film is still a worthwhile watch for those who are seeking something unconventional and spirited. Sylvia Scarlett is much like it’s protagonist: a creature without clear bearing but compelling in whatever form it shifts itself into. 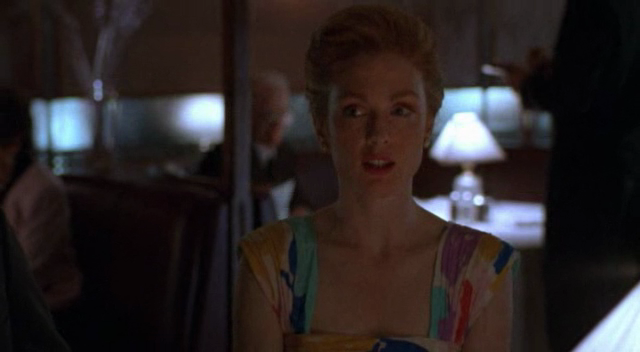 Safe was Todd Haynes’ second major film, before his major success with Far From Heaven. Carol, played by Julianne Moore with a rare opacity, is a normal, affluent Los Angeles woman. She lunches with her friends, spends time planning her décor and cares for her step-son and husband. However, she soon becomes mysteriously ill and is convinced that it is the chemicals around her, the substance of modern life itself is making her violently ill. After a series of increasingly dangerous episodes, she sequesters herself in a remote, chemical-free community. 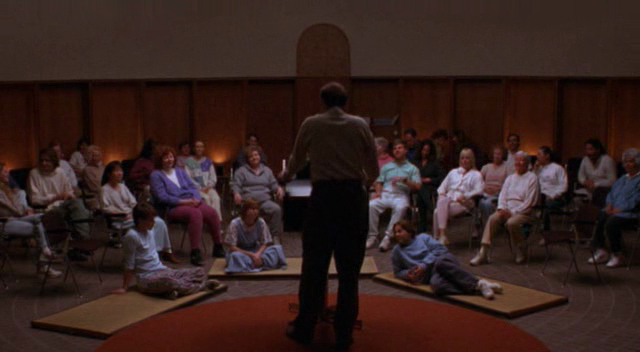 It’s not an eventful film, but it builds intensity from an uncanny, non-specific anxiety that has probably kept it from developing a true cult following. Too unsettling and non-generic for true horror, too weird and unrelenting for fans of pure drama, it’s an oddity that might only be bearable once, but in the best way. 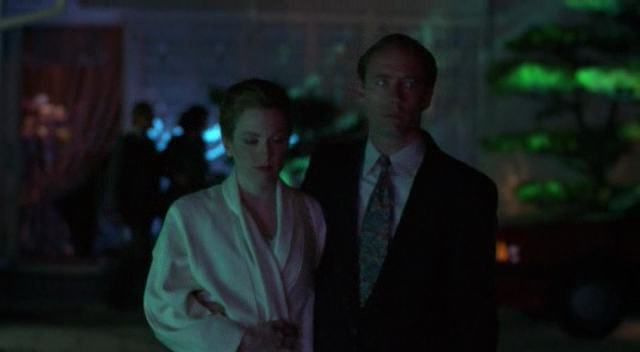 The film is shot on low-grade film but with professional skill and with a colour palette that is very washed out, only occasionally making use of the sickly neon greens and reds of Far From Heaven. 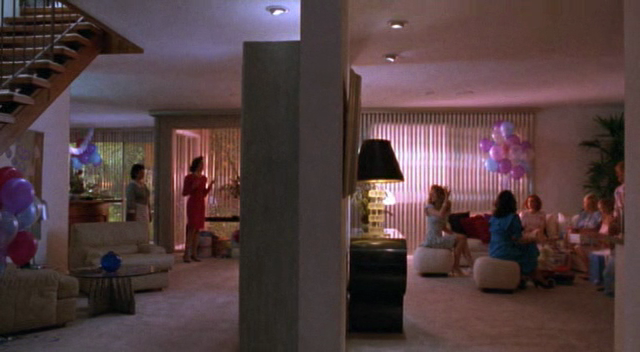 Haynes’ makes a simple choice in framing his scenes in the early part of the film, favouring extreme wide shots where the characters are dwarfed in the expanse of their suburban homes. This perspective also prevents us from engaging with the characters too closely, but not in a dehumanising fashion so common among ‘serious’ filmmakers. The dialogue mirrors this detachment. Haynes only focuses on the most banal of conversations. There’s no great revelations, no rotten core that could explain away the illness in psychological terms. Carol is simply leading her life and becomes sick. We can’t scrutinise because there is nothing to see. Furthermore, it increases our sense of panic – we’re never allowed to look closely or understand the problem that faces Carol and we are also detached from helping her. We’re kept at arm’s lengths, as if behind a police cordon. Of course, the film has overtones of the AIDS crisis, especially as it was first understood, as an uncertain but deadly killer. However, like all great works, it works on an allegorical level which makes it relatable to all modern epidemics. It’s like any number of films about infection (zombie films especially) except that the horror is never resolved or codified into a single source. One of the great mistakes of any horror film is to explain too much or give too much back story, show too much of the threat or leave too little to the viewer’s imagination. Safe, while showing worrying physical signs of pain, operates as an existential horror film. One of the great gifts of the film is involving the viewer in the drama, while offering very little characterisation of Carol. It’s Diagnosis: Ennui. It’s also a brilliant satire on the self-help industry, in that it reveals the market decision: if you make sure everyone thinks they’re ill, then you can supply the cure. The course leader, Peter Dunning, carries the same ambiguity as all the characters in the film. He’s simultenously a svengali, ministering to the worried well and a distant money grabber, accusing the genuinely sick of their own personal failings making them sick. There’s an ambivalence about whether the toxicity of everyday life is legitimate or not. 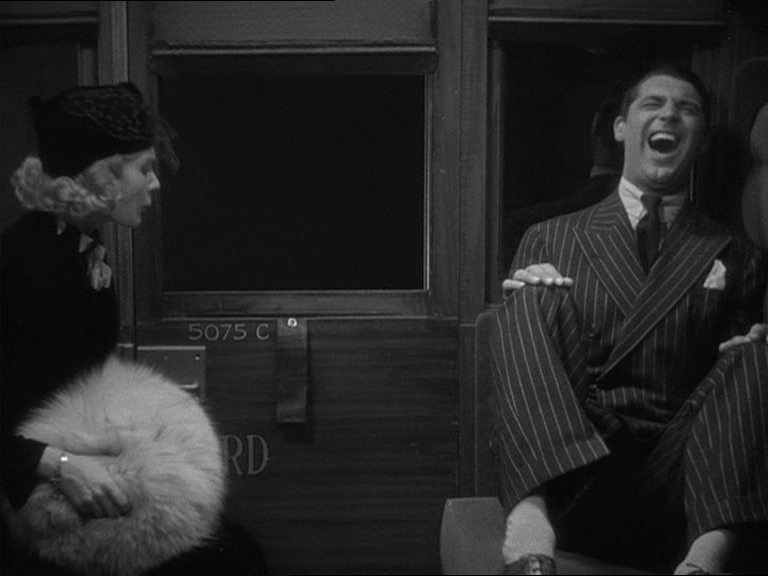 In one shocking scene, Carol is shown up as she fails to laugh at a bawdy and tedious joke over dinner. Is she distant because of her illness or is her illness a sign of her rejection of the truly suffocating surroundings of middle-class contentment? Safe doesn’t bludgeon the viewer with a coruscating depiction of the vapidity of modern life. Instead, like the illness it depicts, it does something more insidious and lasting and creates an atmosphere where the images on screen contain the banality of everyday life, and in so doing, infect our lives beyond the last reel. A child spills stories of gang violence, friends advocate fruit diets, the wrong colour of sofa is delivered, baby showers arrive and pass and they are all symptoms of, and causes of the same feedback loop of illness.